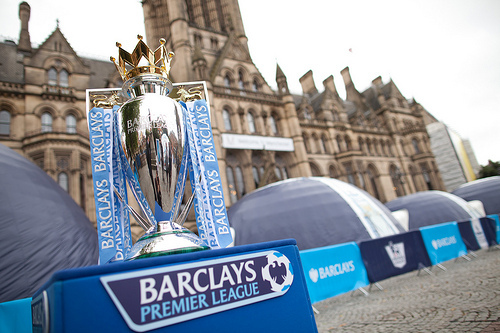 With the battle for the new Barclays Premier League television rights set to begin at the start of the New Year, it is understood that the competing networks are keen on producing Friday night matches in the near future. BT Sport and Sky Sports are thought to be bidding up to an astounding £5 billion to secure the rights to air Premier League matches starting in 2016. If true, the shocking fee would crush the previous television deal with the league by around £2 billion. 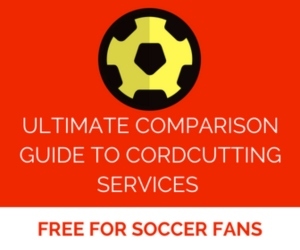 While having the most competitive soccer league in the world on an extra night of the week seems like a brilliant idea, there are definitely pros and cons to each side of the argument. First of all, there could be issues with the lack of quality teams being available for the Friday night matchups. There are six weeks of Champions League group stage matches played on Tuesdays and Wednesdays between September and December every season. Then depending on how far a high-level team makes it in the European competition, they could play midweek from February to May. Europa League matches make scheduling even more difficult. The second-tier European tournament follows basically the same schedule as the Champions League; however, matches in Europa League play are scheduled on Thursdays. Surely it is feasibly possible for some Champions League and Europa League caliber teams to squeeze a couple of Friday night matches into their season (and these teams could have an advantage of an extra day of rest if they have these European matches the following week). However, it would appear that many of the potential Friday night games would feature teams from outside the top seven of the table. 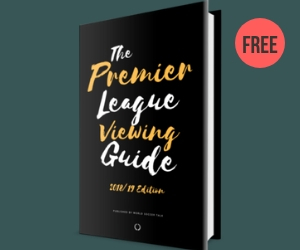 Another impending problem in having Friday night games in the Premier League deals with television ratings. Stateside, we have something called the “Friday night death slot”. It turns out that while the name sounds cool, the “Friday night death slot” is actually something very bad. With most people taking a break from their televisions to actually leave their homes, television ratings during Friday evenings are generally the lowest rated of any other time during the week here in America. Obviously, Friday matches would occur at night in England and sometime around 3pm EST here in the U.S.
On the flip side, as a big fan of the league, being able to see games on more occasions seems mouthwatering to me personally. With league matches already scheduled on Saturdays, Sundays, and Mondays, not to mention European games on some Tuesdays, Wednesdays and Thursdays, the only day of the week without British soccer is currently Friday. Spanish league has Friday night matchups. I dont see how this couldnt work. France has night games on Friday that start at 8:30 so 3:30 EST. It would be a good excuse to start the Friday happy hour a little earlier. Happy hour starting at Noon (on the West coast). Sounds like a great idea. Much better than getting up at 0445 for the early Saturday game. It is why God invented the DVR. No more lousy League 1 matches. Does no favours for the away supporter. Villa Park on Monday night will become the norm, hey ho. Good point. Spain and France, being bigger countries, probably dont have as big an away support culture. The Mirror’s article says that the Premier League will try to schedule teams that are in a close proximity to each other for the Friday night games. Well that’s worked so far. Look at our midweek matches for the past few seasons to see how often we get Sunderland, Newcastle etc away from home. We’re the last people they’re thinking about when it comes to making this decision.